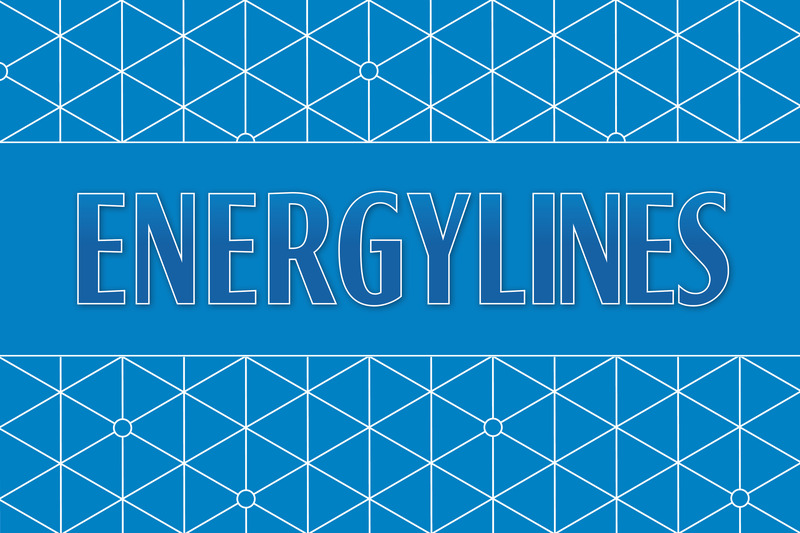 In the blink of an eye, just about anything can go wrong in a power plant, or life for that matter. Tony Crow, keynote speaker for Merom safety week, knows full well how true that is. Keynote speaker, Tony Crow, speaks at Merom’s Safety Week about how anything can go wrong in the blink of an eye. 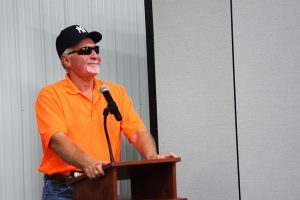 As plant workers filed in for safety week to hear the keynote speaker, he and his wife, Cheryl, walked into the training room blending easily into the crowded lunchtime event. The man with the sunglasses and New York Yankees cap moved effortlessly, holding onto his wife’s arm, smiling broadly. But one thing in particular stood out – a bright orange shirt. He sat down near the corner deep in thought, cocking his head, all the while listening as Cheryl chatted with a few people. His talk began simply enough. Tony knew safety. He had worked in one of the safest power plants in the United States – Texas Utilities Electric Co. in Mount Pleasant, Texas. As a plant operator he knew full well that life at work wasn’t only about him or how well he performed his job. He knew whatever he did, others depended upon him. He followed every safety procedure at work, wearing all the PPE – safety glasses, hearing protection, work boots and clothing. He even survived one of the scariest power plant accidents in U.S. history when a 600-foot concrete stack collapsed 50 feet from where he stood. He stood inches from the rubble that claimed the life of a guy inside the stack. This self-described good ‘ol boy from Winnsboro, Texas, grew up idolizing Mickey Mantle and remains a lifelong Yankees fan. He learned to hunt early in life and the passion remains despite a tragic accident nearly 15 years ago that blinded him for life. The next afternoon the two went out for one last hunt. Tony’s khaki shirt and cap blended in perfectly as he stood behind a mesquite tree along an abandoned fence row, perfect for flushing out a covey of quail. A dog pointed to the prey, distracting Tony, who forgot to communicate to his son that he was heading up the same fence row. The quail flew up and headed back toward Tony. Landon, thinking his dad was farther away, fired. In an instant, their lives changed. Tony awoke in a Dallas hospital room, muttering about an orange shirt and cap. His wife asked the doctor one question. “Doc, if Tony would have had safety glasses on, would it have blinded him? Long pause. “No ma’am Mrs. Crow, it wouldn’t,” was the reply. While in the hospital, the nurse told him more than 70 people were in the waiting room. And that’s when he realized something. “It’s not just about me.” INJAM. The acronym is his mantra and the name of his non-profit that assists high school seniors who have overcome physical, mental or emotional disabilities. He lives those words every day, refusing to feel sorry for himself. As his story winds down, the simplicity of his challenge to be safe at work and at home took hold on the now somber crowd. At that, he and his wife walked to the back of the room. Plant workers stood in line to shake his hand or just say thanks. He visited with each one as if each was a friend for life. He stayed until the last person had left, many with an orange shirt in their hands.